Στην SEMA η Lexus θα παρουσιάσει μερικά βελτιωμένα IS τα οποία είναι δημιουργίες των χρηστών του deviantART, της μεγαλύτερης online κοινότητας για γραφίστες. Όλα φορούν νέα bodykit, με -μερικά από carbon-, και ένα από τα αυτοκίνητα φορά τον εξακύλινδρο turbo κινητήρα μιας Supra, απόδοσης 700+ ίππων. Αναλυτικές λεπτομέρειες για το καθ’ενα, μπορείς να βρεις στο δελτίο τύπου που ακολουθεί. 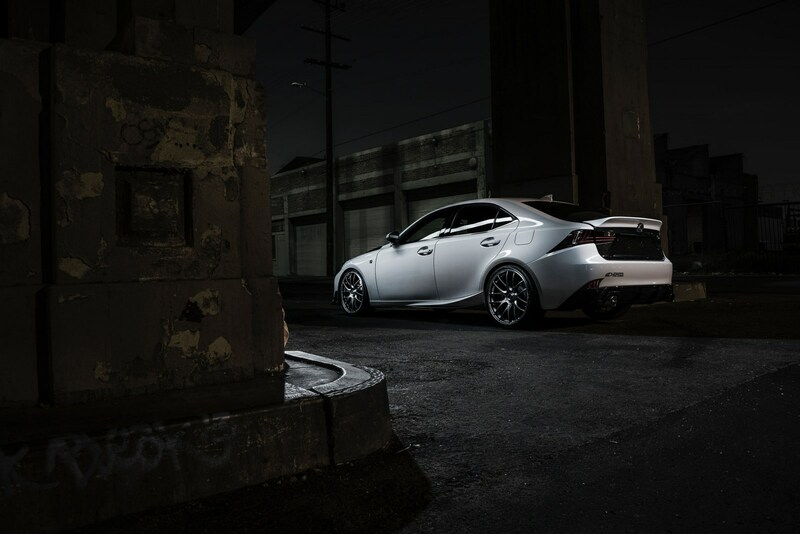 Lexus threw down a design challenge to deviantART, the largest online social community for artists, to come up with an even edgier interpretation of the new IS saloon. Out of the hundreds of wild and wonderful ideas that were submitted, the ultimate design is taking pride of place this week at SEMA in Las Vegas, the world’s largest customisation show. Philip Chase has installed the mighty six-cylinder turbo engine from the 1990s Supra in his IS 340, a unit that produces more than 700bhp. The engine’s roar is broadcast by a custom four-inch exhaust system, and its power is expressed in the car’s styling, with a front lip kit by Modellista and carbon fibre bonnet vents. Lexus’s limited edition carbon fibre bicycle takes price of place on the roof of Gordon Ting’s IS AWD, that comes with customer exhaust and air intakes by TEIN USA, Street Flex dampers and Brembo high-performance brakes. Paul Tolson and Gabriel Escobedo have created the widest, lowest IS yet seen, there is 250 F Sport brought close to the ground with an Air Runner Systems air ride. 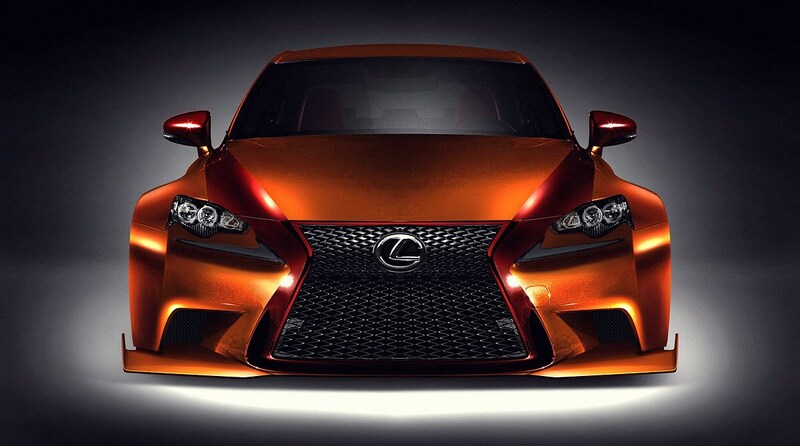 The paintwork is equally jaw-dropping, in shades named Orange Mercury and Root Beer. 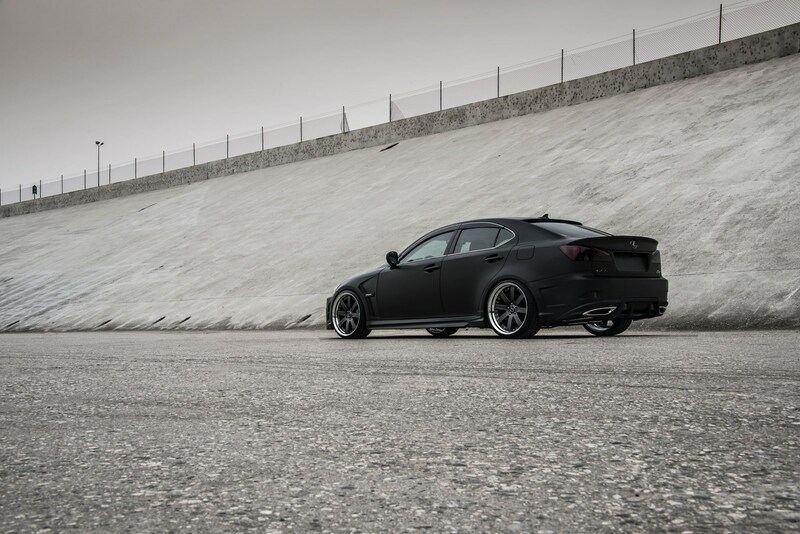 Seibon Carbon has worked its magic on the IS 350 F Sport, producing a host of body panels and aero parts in carbon fibre, including the bonnet, bootlid, spoilers and skirts. A set of Volk Racing 20-inch wheels, A’PEXi SPL suspension and exhaust and a custom intake further ramp up the sports performance. 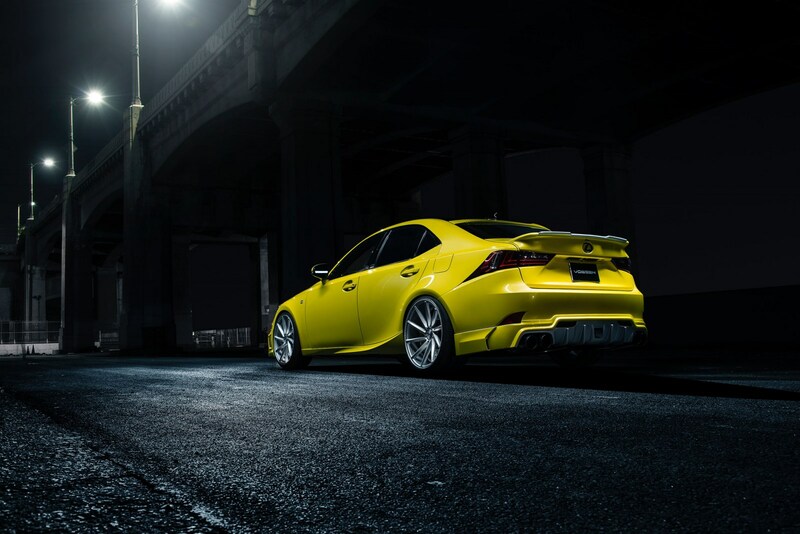 There will be no missing Vossen Wheels’ IS 350 F Sport, finished in LFA Pearl Yellow paint, rolling on 20-inch CVT Directional rims and sitting ultra-low thanks to RS-R Black-I Series coilover shocks. It’s not just the current IS that’s in the spotlight: SEMA will also turn the clock back to show two new interpretations of the first and second generation models. 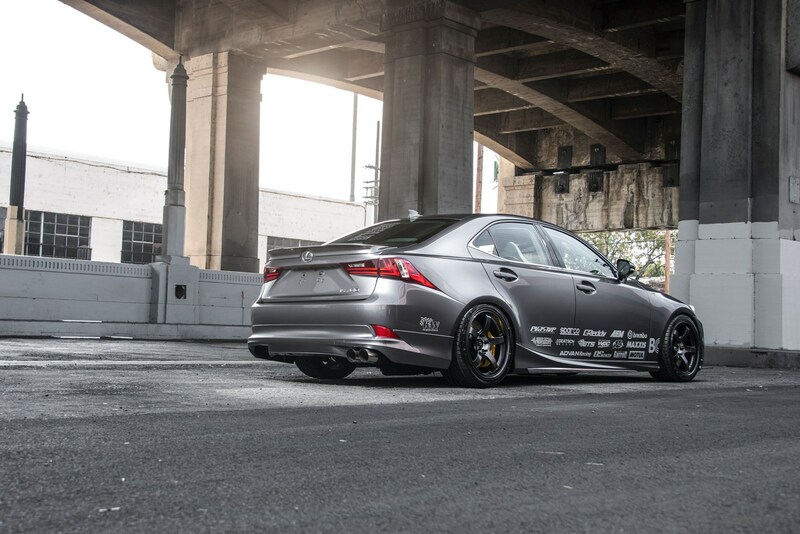 Maricar Cortez has produced a cool version of the 2004 IS 300, adorned with three-piece HRE 19-inch wheels and Rod Millen Motorsport side skirts. Under the bonnet the six-cylinder engine gains a ProLex supercharger. 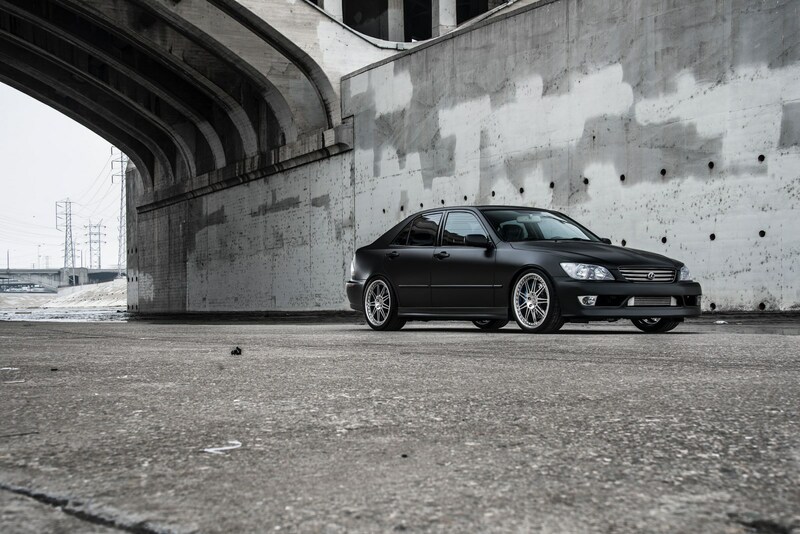 Enthusiast Andrew Atigehchi contributes his work on a 2007 IS 250, fettled with 20-inch rims and performance exhaust, suspension and brakes. SEMA opens on Tuesday (5 November) and continues until 8 November at the Las Vegas Convention Center.